All natural body powders are easy to make in your own kitchen. You can use the recipes here, or play around and create your own designer scent using essential oils and herbs. You can also make the powders using both the herbs and the essential oils. This helps keep the scent of the powder longer. One way to make a natural herbal body powder is to gather up the herbs you would like, and put them into a piece of cotton or you can use cheese cloth. Pour in the arrowroot, orris root, or other unscented powder, and let the herbal pouch sit in the powder for 3-4 weeks. The powder will absorb the scent of the herb. This method is best when the herbs are very fragrant like lavender, rose, or patchouli. You can add powdered herb into it as well for more scent. You can use herbal essential oils to make your body powder. Place 1 cup of orris root, or arrowroot powder into a bowl. Add one tablespoon of a carrier oil. Mix well! Be sure the oil is well incorporated into the powder. You can add more oil if necessary. This could be apricot kernel oil, sweet almond oil, or whatever oil you have in your kitchen. It is best to use an oil without a scent. Some oils, such as olive oil, has a natural scent that can overpower. It is also best to use an oil that has a longer shelf stable life. You need the carrier oil to help the essential oil adhere to the powder. Like water and oil, essential oils do not mix without having an oil base. Then, add the following essential oils to it. You can use the following formulas to scent it. Be sure to mix well! 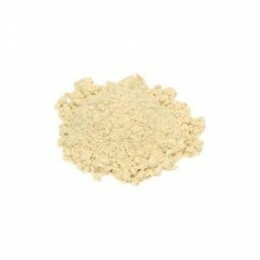 Mens Powder Formula– Men tend to like a more clean and earthy smells. Add to the body powder mix the following essential oils. Add 5 drops of Neroli EO-Neroli can be a bit expensive. You can leave this out if you wish. This powder is meant to give a bit more protection. To the mix add the following essential oils. Use all over body for best deodorant protection. Store powder in a container with tight fitting lid. Be sure to clean the jars out well before putting the powder in. A dark glass jar is best for the essential oils. You can put the powder in a decorative jar on the counter in your bathroom, but it should be kept out of direct sunlight. 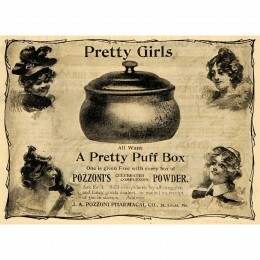 If you can find one, an old fashioned powder puff and canister works really nicely.